Earth to Paris held in Paris early in December 2015, had many collaborating partners to bring the event about and help with various arrangements. Some of those partners in the private sector included Twitter, Mashable, Facebook, and 21st Century Fox (parent to Fox News). The U.N. Foundation (founded in the U.S.) and a number of other U.N. sponsored organizations including UNICEF, U.N. Framework Convention for Climate Change (UNFCCC) who hosted the climate talks, U.N. Development Program (UNDP), and U.N. Environment Program also helped organize, sponsor, and promote the Earth to Paris event. According to Foxnews, others involved in the event include The Better World Campaign, Girl Up, Nothing But Nets, Climasphere, Love Song to the Earth, Shot@Life, Energy Future Coalition, Sustainable Energy for All, Travel + Social Good, and Universal Access Project – most of them have strong ties to the U.N. The Paris event also drew many celebrities to support and speak for the environment including Matt Damon, Robert Redford, and Jack Black. But with so many countries being represented as well as organizations, foundations, and individuals, the event also garnered some hefty PR efforts. Whether the event was successful will probably be discussed until the next pro-climate event occurs. Promises have been made by many countries in their efforts to reduce greenhouse gasses and harmful emissions though many of the promises are vague. President Obama has promised to reduce those items between 26-28% since the 2005 levels over a period of fifteen years, but his promise is only guaranteed up to the end of his term of office. The new President could easily change that marker or remove it completely. 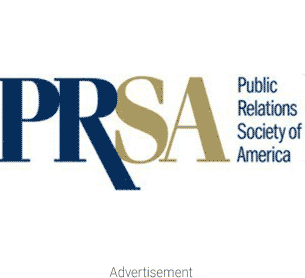 With so many dignitaries, celebrities, and even Paris itself, there are lots of ideas and information for PR professionals to focus their energy. The climate certainly has no shortage of people ready to speak on its behalf and Paris, even a subdued Paris, is a beautiful place to celebrate the wonders of this world. Bringing the good news of people battling to get rid of the forces destroying the climate is not a bad place to start. But the “Earth to Paris” event also presented a big PR weekend, just as it was meant to do. Environmental specialists met with countries struggling to meet financial burdens were brought together with more prosperous countries, organizations, and companies ready to sponsor efforts in those nations. Those opportunities became easier as people met face-to-face at Earth to Paris. We offer a heart-felt “well done” to those who spent many days and hours organizing the event and seeing it to fruition. We look forward to seeing progress from the event. Editor’s Note: Breitbart.com ran a story claiming that “the Paris climate conference exposes EPA chief Gina McCarthy and the world’s largest public relations firm (EDELMAN) for the phonies they are. The article may be read in full here.